Richard Burger is Charles J. MacCurdy Professor of Anthropology at Yale University and Curator in the Division of Anthropology at the Peabody Museum. 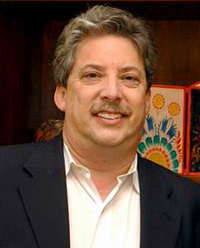 An archaeologist specializing in the emergence of civilization in the Central Andes, Burger has carried out research in Peru for over two decades, directing excavations at Chavin de Huantar and Huaricoto in Peru’s northern highlands and at Cardal, Mina Perdida, and Manchay Bajo on Peru’s central coast. 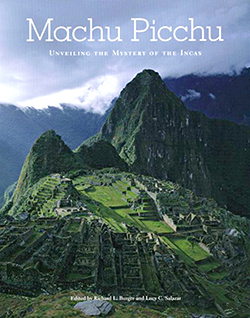 His books on South American prehistory include Chavin and the Origin of Andean Civilization (1992) and Machu Picchu: Unveiling the Mystery of the Incas (2008). In Peru, he has taught at the San Marcos University and the Catholic University in Lima, and is an honorary member of the faculties of the University of Cuzco, and the University of Iquitos. Burger also served as Chair of the Senior Fellows of Pre-Columbian Studies at Dumbarton Oaks in Washington, D.C. and is currently the President of the Institute of Andean Research (NY). In light of recent claims that humans are intrinsically warlike and that war provided the stimulus for the development of complex societies, Professor Burger will discuss the evidence for the pervasiveness and degree of intensity of warfare from the first and second millennia BC in Peru. By considering defensive architecture, weapons, iconographic depictions, and paleopathology, he will demonstrate that warfare was not a major factor in the development of early Andean civilization. On the contrary, war only becomes prominent once complex societies have become fully developed around 200 BC. He will suggest that warfare appears to be a result of the tensions and conflicts stemming from complexity rather than a causal factor in its emergence.